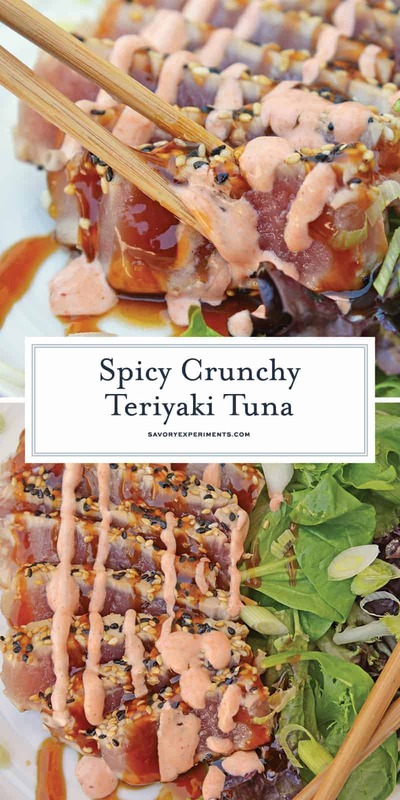 There are multiple tuna recipes out there, but this one will give you spice, crunch and the delicious flavor of teriyaki! What more can you ask for?! This Teriyaki Tuna recipe brings a delicious and healthy meal to the table in just over 20 minutes! 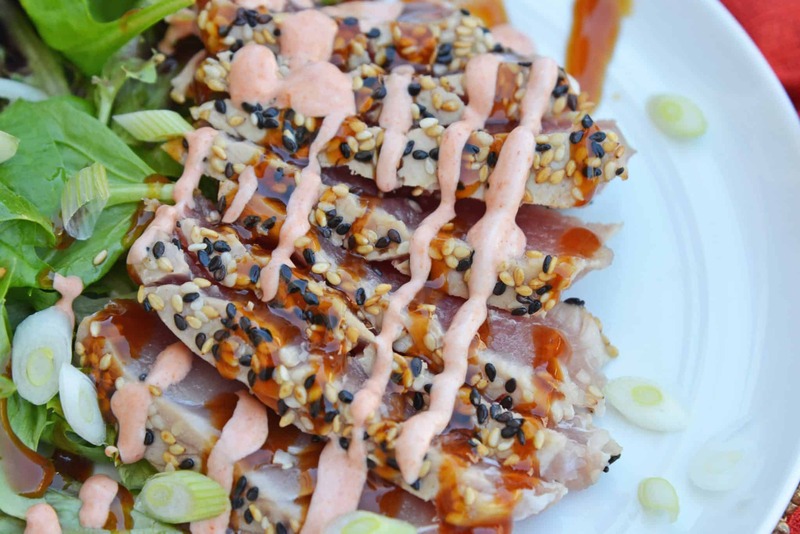 As a quick and easy meal this sesame crusted tuna can be made any day of the week! Your whole family will enjoy this tasty dish with crunchy contrast! My husband and I love tuna steaks and often struggle with new ways to prepare them. Now teriyaki tuna is one of the most frequent tuna recipes in my house hold. 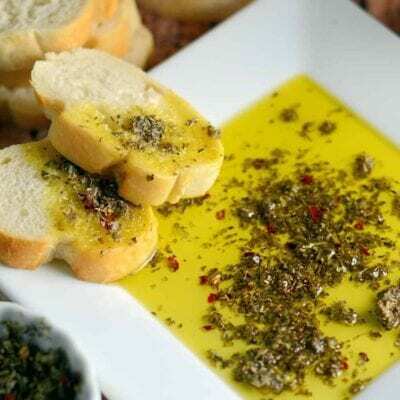 It is just too easy to make and is accompanied with so flavor! For this creation I wanted to combine sweet with spicy. I used a teriyaki glaze I have traditionally used for salmon paired with a creamy volcano sauce inspired by spicy tuna sushi. Sesame seeds offer a crunchy contrast in texture and additional flavor. 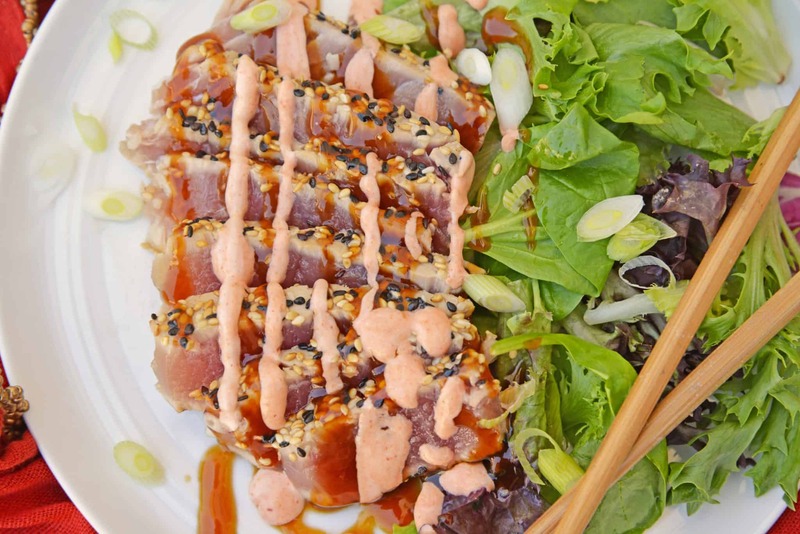 Fish is good for you and ahi tuna is great for certain thing. It’s high in protein, vitamin D, potassium, omega-3 fatty acids, and minerals. 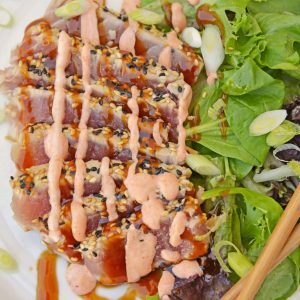 Ahi tuna has some great health benefits but like everything else you should limit how much you consume it. It has a higher mercury level than other kinds of tuna so limiting how much you eat in a month is a good idea. Let’s review how to make tuna steaks before you get started. 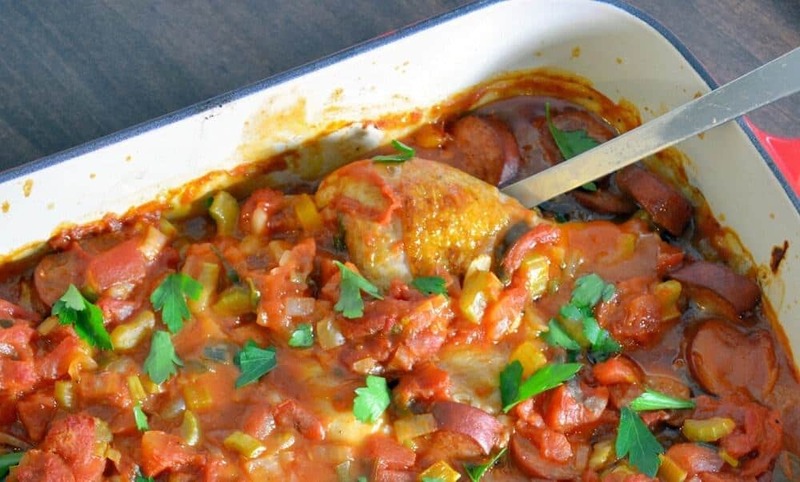 We do not use a marinade for this recipe, making it an easy weeknight meal. You can use one or both sauces: volcano sauce or teriyaki sauce, or none at all. Sauces can be made ahead of time. I use vegetable oil on high heat. Crust tuna steaks in sesame seeds to crust the tuna. The amount of time needed per side will vary, but is about 2-3 minutes. 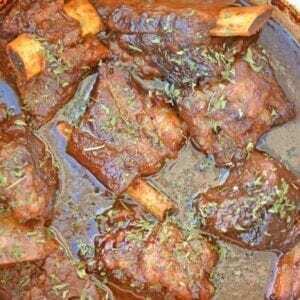 Remove from heat and serve immediately! Wash your tuna steaks before you start with clean water to get off all the scales and dirt. Use a paper towel to soak up all the water from the tuna before cooking. If your tuna is fresh then it can be eaten rare or medium rare with a little pink in the middle. Cook for 1-2 minutes for rare and 2-3 minutes for medium rare. Sear for the same amount of time on both sides for even cooking. 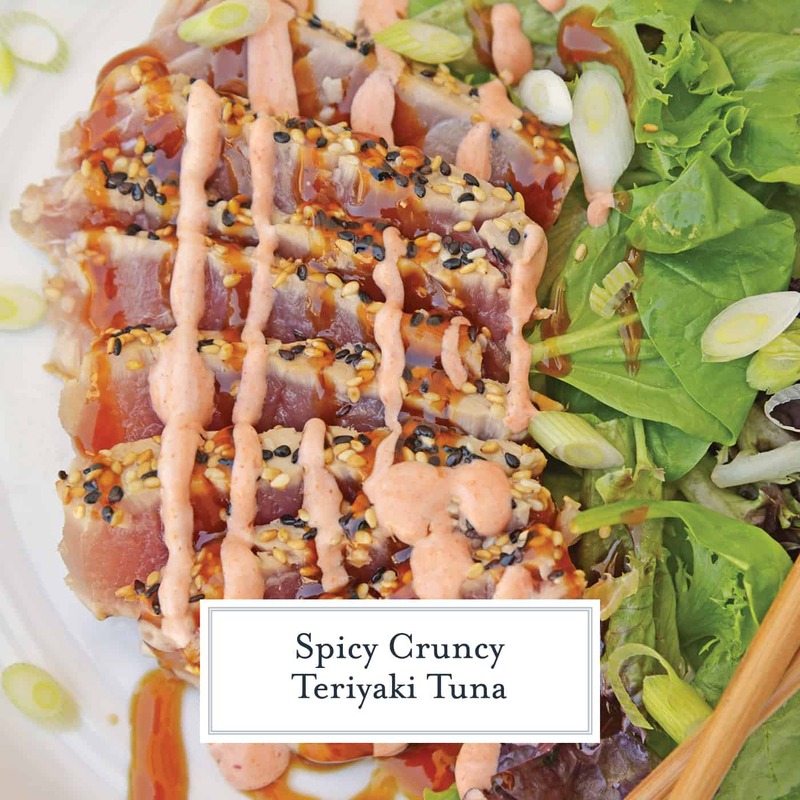 Using a marinade helps add flavor and extra moisture to your tuna. If you’re using frozen tuna steaks, cook all the way through to the middle with no pink to avoid getting sick from food poisoning. Immersion Blender– I used to transfers anything that needed to be blended to a food processor and then back again. It was an unnecessary amount of the work for the cheap cost of an immersion blender. They are also super easy to clean. 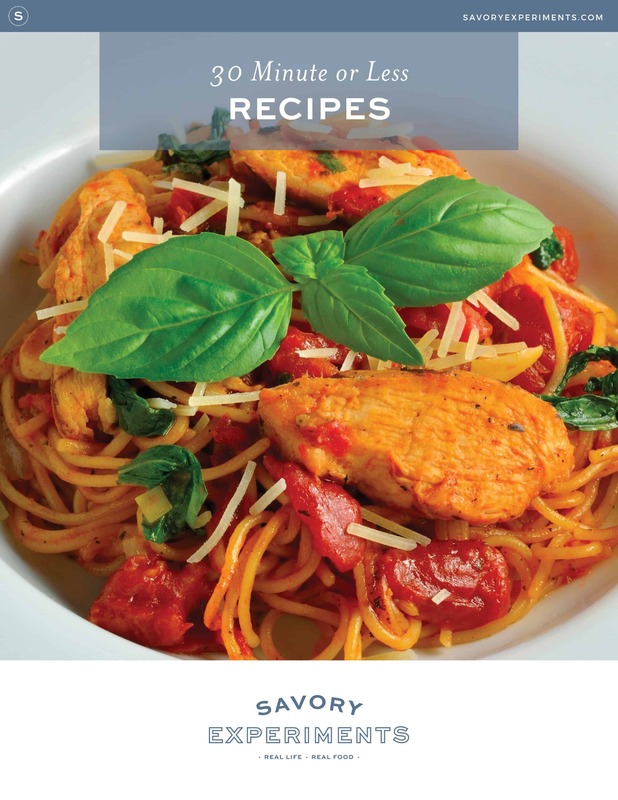 – great for searing things like tuna or steak at a high heat and easily transportable between the stovetop and oven. They are probably less expensive than you’d think too! Pie Plates– I think every kitchen should have at least three shallow dishes or pie plates for the process of breading or marinating. You can also bake pies in them! Hehe. Want to learn more about tuna? I learned an incredible amount of information from my trip to Japan and discussion with a famous sushi chef. Check it out HERE! This Teriyaki Tuna recipe brings a delicious and healthy meal to the table in just over 20 minutes! 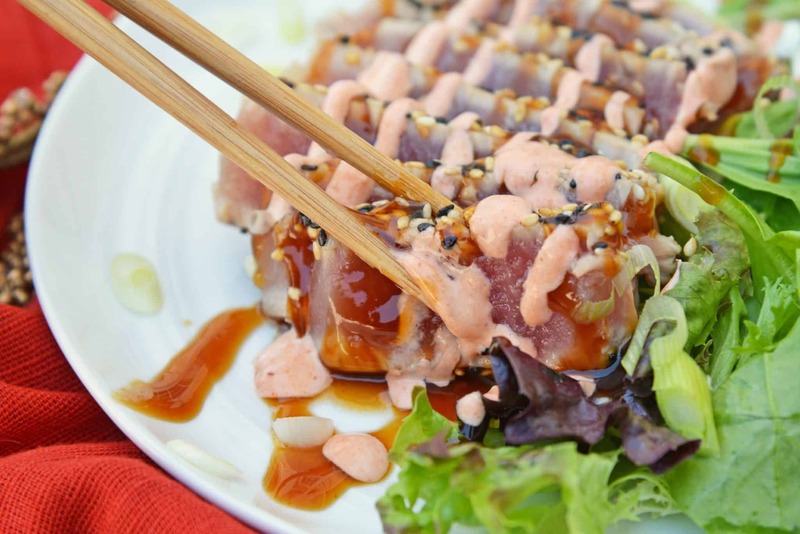 This ahi tuna recipe is a quick and easy meal! Using a small food processor or an immersion/stick blender, combine mayonnaise, chili garlic sauce, sweetened condensed milk and sugar. Depending on your tastes for walking on the spicy side, add chili garlic sauce slowly until you reached your desired heat. Set aside. Combine white and black sesame seeds in a shallow bowl or pie plate. Dredge both sides of the tuna steaks in sesame seeds. Set aside. Heat vegetable oil in a large cast iron skillet or large frying pan over high heat. The name of the game is to sear, which means high heat, spitting oil and in my house, the smoke detector going off, so prepare your work space accordingly. When vegetable oil is hot, place tuna steaks in the pan, cover. Cook on each side for 2-3 minutes depending on desired temperature. Two to three minutes will be a medium rare for a 1 1/2 inch tuna steak. I like mine rare, so I go for 1-2 minutes on each side. It all depends on the thickness of your tuna steak. Remove tuna steaks from frying pan/cast iron skillet. Plate and top with teriyaki glaze. There are two choices for the volcano sauce. You can put a dollop on the side, allowing individuals to dip according to their tastes OR you can put the volcano sauce into an airtight plastic bag and cut a small hole on one bottom corner and then pipe the sauce onto teriyaki tuna steaks. OH.MY.HEAVENS! This is delicious. 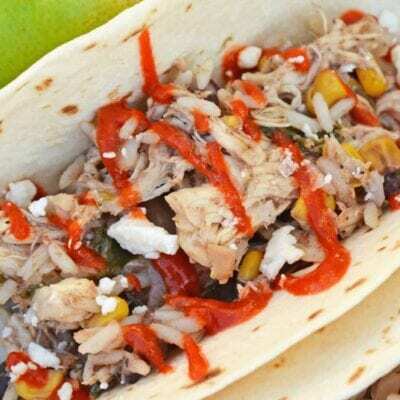 We have several Tuna lovers in the family, so this is a welcomed dish. Thanks for the recipe. This was actually so good! 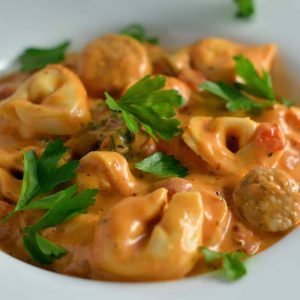 Simple to make and had great flavor!